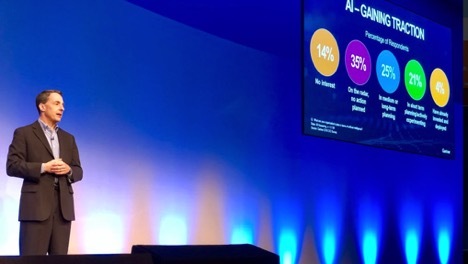 The path of the Gartner Data & Analytics Summit 2018 rolled through London this week, 1,600-strong, on the eight-city road show that showcases the latest thinking and key solution providers in the Enterprise Information Management community. Building on the highlights from the US event earlier this month, here is a “top up” on more of what there was to learn this time around. The very well-liked veteran analyst Ted Friedman was the chair this time around, and he was joined by Debra Logan for the keynote, where Kurt Schlegel returned to round out the cast kicking off the UK event. Again, the Event App is your friend and makes feedback on every aspect (like it or not) easy. Sorting through what sessions to attend, however (I counted 131 in all) is no easy task. I do wonder why people take lots of pictures in the sessions, as all of the slides are available via pdf in the app and via the online agenda. The fact that all of the materials are there, prepared well in advance, is an oft-overlooked way to maximize your experience at the Summit. Perhaps I’m a Gartner Geek (I can hear several analysts snickering at that expression as I write it), but I try to pick my agenda, download slides and come with questions in advance of the Summit for presenters. At the UK event, most full attendee passes come with rights to a 1-on-1, and this is a HUGE benefit over the US event. Delegates are CRAZY not to take advantage. As advertised, this article will expand on more of the discussions and trends I saw at the London Summit -- this is in no way exhaustive. I’ve been really pleased to get feedback from attendees, non-attendees, and the analysts themselves on these over the past few years I have been compiling a summary of my time at the Summits. 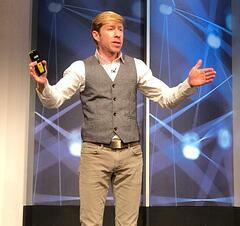 This was my 14th, counting various Gartner Summits across 4 continents. “Magic Quadrant” is the most searched-for work on gartner.com, and what they have been known for in the industry for many years. A blessing and a curse, MQs are deeply misunderstood. Despite the best efforts from lead analysts and MVP Ian Bertram, who led one of the most well-attended Summit sessions. Perhaps you can imagine the painstaking postmortem analysis done by vendors (think getting out a ruler to measure millimeters), to overlay year-on-year comparisons and attempt to deconstruct analysts minds on who has moved on, out, up, down or sideways on this itty bitty and very simplistic graphical depiction of solutions. Or, as Cindi Howson said in her blog on the subject, "If you rely only on the MQ to set your BI and analytics strategy, you are making a mistake. The best vendor for your particular requirements— short-term and long-term— maybe in another quadrant or not in the MQ at all." 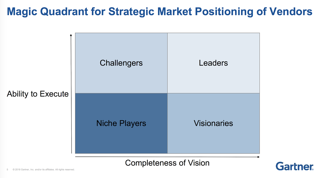 As Semarchy has never been on the Magic Quadrant, we rely on our clients’ understanding of this, and the many who have given their reviews in Gartner Peer Insights, or seen our appearance as a “Cool Vendor”. As Gartner would enjoin to their Research Clients - always speak to relevant analysts; the likes of Andrew White, Simon Walker, Bill O'Kane and Michael Moran have great insights on MDM and the more important the emerging space in which our xDM technology fits - Data Hubs for Application Data Management. As we close in on a triple-digit client list, with over 50 of them Global 1000 enterprises, that seems to be working. Keep in mind, for the MQ - it’s not the thinking or opinions of the Gartner Analysts involved, but a very detailed, numerical and formulaic calculation based on a list of critical capabilities, use cases, client survey responses and other feedback that “spits out” that graphic. And the analysts pour their hearts into all of the other bits - market commentary, strengths, and cautions, etc. I don’t think it’s news that Gartner is an academic and exceedingly political large organization internally. When I speak to execs who manage the teams of analysts I feel it is similar to a conductor with a classroom full of virtuosos. Market sizing, revenue thresholds, weighting and components of this analysis - along with defining market scope and what things belong together in an MQ is likely a painful internal process. As a vendor, it can be frustrating that this seemingly clandestine definition, discussion and arbitration is conducted without any transparency (to say the least). My favourite professor while at Columbia Business School was William Duggan, who wrote a book called “Napoleon’s Glance: The Secret of Strategy,” and taught an amazing class on a term he coined “Strategic Intuition.” This is one of those sorts of academic concepts you have experienced personally, the reason your best ideas seem to come why you’re in the shower, or walking the dog, driving to work, etc. That last bit where a “flash of insight” comes to you is actually steeped in the depth of knowledge you have on the subject, a period (or multiple periods) of thinking intensively about it, and finally being in a restive state (the shower, for example) when your mind is supple---the penny drops, and you get it - voila! This taken together with an idea that “As Gartner Analysts, it’s not our job to make the headlines, but report the news” (paraphrasing here), stands to reason that the pattern we have seen in the market leads us to coin a new term we call the “Intelligent Data Hub.” We suspect that there will be a Market Scope Guide or an MQ in this space sometime soon, and anxiously anticipate that development. As I said in my own sessions at the Summits in the US and UK, just because there is a Magic Quadrant for a data management capability, doesn’t mean you need one of each. 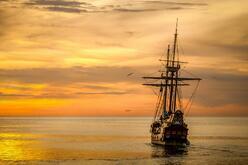 Too many organizations have the “Noah’s Ark” of Technology…. Two of everything. Currently, this is being solved by lots of uncoordinated bits of software and glue--or multiple products from mega-vendor solutions that are cornered as all being part of a “platform”--but are in actual fact separate pieces of software, grown through acquisitions and compromise, cobbled together with similar names to seem like the real thing. This is where intelligent comes in for an Intelligent Data Hub -- while there are whole platforms (and an associated MQ) for Data Science and Machine Learning Platforms, the AI can be applied under the covers in a platform to help with lots of meaningful business processes. In our case for xDM, smart algorithms that learn and will eventually make suggestions help with automating stewardship, prioritization of workflows, matching, merging and calling on external micro-services to augment the core horsepower in the Hub to present master data (slowly changing dimensions) and non-master data objects (System of Record, static or dynamically changing values, transactional data, etc.) in a way that is easily consumable by ANY type of user -- from the boardroom to the bathroom--in any-sized organization. Clearly, organizations seek to minimize the hands-on-keys part of the execution, and this is also where the AI comes in - to bring the automated work from 70% to 80% and eventually to a 95% or higher threshold (probably asymptotic), so governance can be applied by humans on an exception basis. The other way that less care and feeding is needed for governance is by empowering non-technical users all over the business to act as the highly contextually-aware experts they are on data that pertains to people, processes and things at the endpoints of interaction. For example, a bank teller empowered with customer information can be the final link required when a smart system serves up a simple question that can be posed at a point of interaction with a customer. In this way, data quality can be up to the highest standards, as well as customer satisfaction--enabling up-sell and cross-sell opportunities for the bank that was previously hard to come by. We think of this ability to use persona-based and conditional permissions, augmented by sensible workflows, in the Data Hub as Collaborative Data Governance. This means people across the organization are empowered by the platform to work together to in-source the accuracy of data. If the Intelligent Data Hub concept makes sense to you, then you’re like the visionary organizations we have worked with, who have been doing it for a few years now. Innovators don’t wait for Gartner to talk about how to solve a problem--they’re out there doing it. If that sounds good to you, look us up. With about 44 working days until the 25 May 2018 deadline for the Global Data Protection Regulation (GDPR) deadline comes into effect, the noise about it was a dull roar through the Summit. The most far-reaching privacy regulation in history, seen as a model for what is to come around the world, gives this impact far beyond the European Union (EU). As gathering aimed at Chief Data Officers (CDOs), and attended by plenty of folks who have been named the Data Protection Officer (DPO) for their organization, focused on Enterprise Information Management (EIM), GDPR is squarely in the wheelhouse for discussion at the Data & Analytics Summit. At least half of the Solution Provider Sessions included discussion on GDPR, and the preponderance of Track “C,” which focused on “Governance and Master Data — Build a Foundation of Trust” were strongly tuned around addressing this regulation. 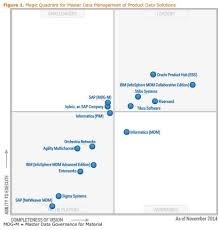 MDM and Data Quality vendors, as well as lots of services/systems integrators, are all over this space. As vendors scamper to be the “must have thing” for GDPR, they are usually careful not to suggest they get you there without significant constructs around them, and your friendly neighborhood legal department. Gartner, for their part and as usual, strongly suggest a focus on people and processes first and way our ahead of any software or packaged solution engagement. That may be true, but there are some sharp solutions that can be engaged quickly here, and are being employed by numerous organizations in the UK (remember, GDPR is pre-Brexit and will roll right into UK law, alongside a UK Data Protection Act with similar standards) and across The Continent. 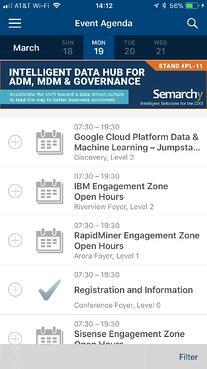 I know from talking to organizers of the upcoming IRM MDM & Data Governance Summit UK in May that a whole lot of presentations there will be addressing this squarely. With respect to rights to inform, access, portability, and the ever-popular erasure, MDM and DG (now collectively with other bits the Data Hub) are the core requirements to get people data (customers, employees, etc.) in order, or risk big fines and other problems. If you have read nothing before in this long article, please pay strict attention to the next sentence. Get eight hours of sleep every night. Every. Single. Night. The consequences of not doing so are dire. Reduced sexual health, declining mental acuity, inability to effectively remember educational experiences, and even an increased chance of getting into an accident with your car and all strongly correlated with a lack of good, restful sleep. Continuing the new trend for of having a personal growth, work-life, or generally non-technical big thinking guest speaker at Summit is new to me, but I LOVE it. Really adds to the event and pulls the audience out of their phones and into the room, together. 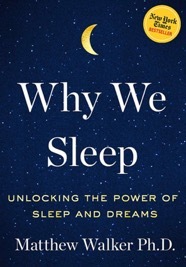 Matt Walker, a sleep scientist and Professor of Neuroscience at UC Berkeley expounded on deep research (the link to data and analytics) he did in his book “Why We Sleep.” I bought this thing on Amazon immediately, and I am looking forward to reading it. From slowing or postponing the onset or development of cancer to making kids actually smarter in school, enjoying life more and even preventing the degradation of your genetic material, there is simply no single better thing you can do then get a good night’s rest regularly, according to Dr. Walker. You can imagine the last one had a lot of discussions. Turns out that our little smartphones, as a window to the world, consume mental energy all night long. In studies, the very fact that it’s there (even if it’s off or in airplane mode) detracts from your depth of sleeping, ability to get into REM sleep, etc. So - I guess these means we should all get a *real* alarm clock? Spring for that $8. Go ahead, I can loan it to you. If you’re really good, says Walker, meaning you’re getting the sleep you need every night - you should wake up just before it goes off anyway. There were a dozen great tidbits from this discussion. If you do get up at night, get out of the room after 20 minutes or so of restlessness -- to reset your mind and keep the psychological association of your bedroom to being a sleep chamber. Oh - and you think you’re one of the people who “only needs six or seven hours of sleep?” You’re not. None of us are, virtually. The number of people that can have the same benefit of a full night’s sleep on 7 or fewer hours, normalized and rounded to the nearest rational number is 0. Want more proof? Twice a year, 1.8 Billion people go through a small experiment. It’s the spring forward/fall back time change - we’re on the bubble for this between the US and Europe right now. As my British counterparts say “you Americans are always in a hurry.” But each year, the rate of people who have heart attacks (per day versus an average day) goes UP by 21% on the day we have one hour less of sleep… and at the counterpoint of the year in the fall, it goes down by about the same amount. That’s impressive and some pretty interesting/direct proof that sleep is so important. It worked. 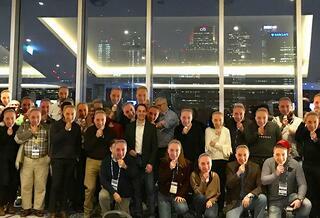 The bar was empty by midnight at The Intercontinental - The O2, whereas the late crew would normally be a bit rowdy. Like the personal development - guest speaker sessions at other Summits, the Sleep we had the night before was the number one discussion at breakfast on Wednesday. I prefer the UK to US Summit. The Exhibit Showcase is open all the time, the feel of it is more intimate, we have lots of meaningful conversations and share a few travel war stories among folks who make it to a few of these things. As for me, I’m not planning to make it to Mumbai or anything, but I haven’t ruled out Brazil!